Today, Bing.com featured an animated picture of the Eiffel Tower, because it was on this day in 1889 that the structure’s dedication ceremony was held, to celebrate its completion. That, and the fact that the centennial of the Titanic disaster is only ten days away, reminded me of another anniversary. This year also marks the centennial of the death of Franz Reichelt, an Austrian inventor you probably haven’t heard of because he killed himself testing his invention from the Eiffel Tower (February 1, 1912). For the details, watch this video clip from the British comedy “Horrible Histories.” I’ll just say he definitely should have won a Darwin Award! When I last wrote about college basketball, I forgot to mention that tomorrow’s Final Four game is a classic grudge match, because it pits the University of Kentucky Wildcats against the University of Louisville Cardinals. 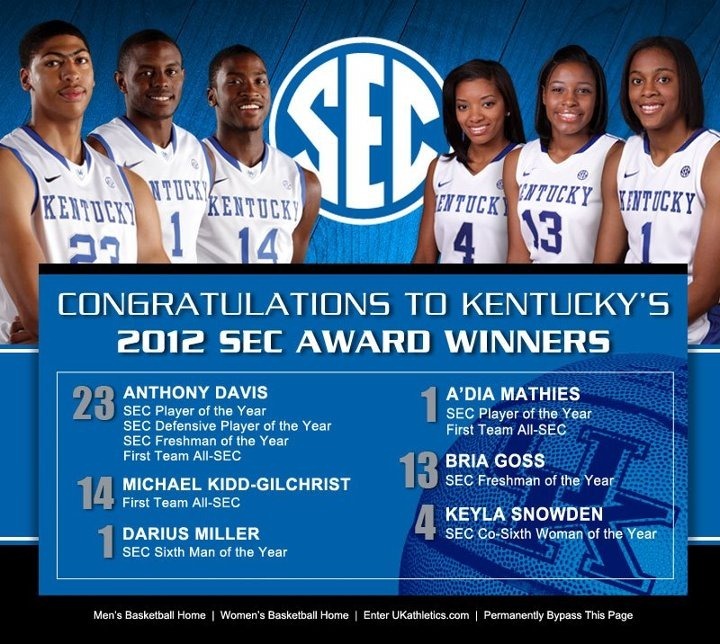 For Kentucky, I’m sure this game will be more important than the NCAA championship game, no matter who plays in it. Because I consider Lexington my real home, I’ll be rooting for the ‘Cats, of course, but let’s show the right team spirit. In politics, it sends the wrong message to support a candidate because he/she is not the other candidate. Remember what happened to the Republicans in 1996, and the Democrats in 2004. During the long 2004 campaign, for instance, I was in a “battleground state” (Florida), but I never met a real John Kerry supporter. Not one! All the people I met who had a political opinion were either Bush supporters or Bush haters; I didn’t consider “Bush haters” to be Kerry supporters because if the Democrats had nominated a baboon to run against Bush, most of them would have voted for the monkey anyway. And nobody knew what Kerry stood for; I don’t think even Kerry knew what he stood for, except to oppose whatever George W. Bush was for. Coach John Calipari is saying the same thing could bite us in sports. 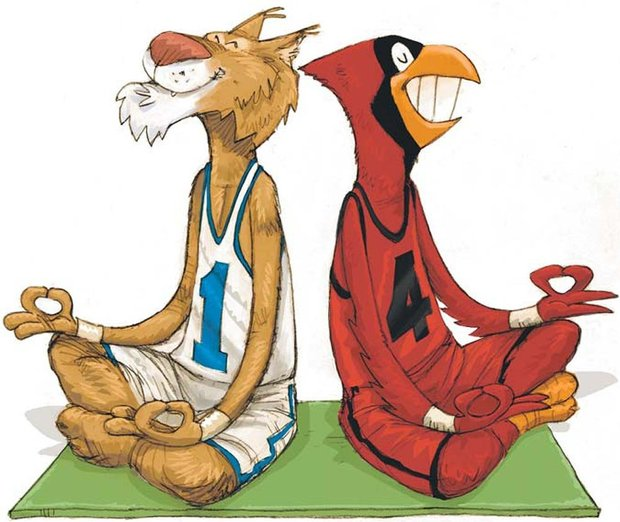 I have friends in Louisville who are for the ‘Cards, and after the game, I expect all of them will still be my friends, even if the Cardinals go on to win the championship. So everybody, let’s just have a good time, okay? The only other time during the year when Kentucky gets this much attention is when the horses race at the Kentucky Derby, and we want to make our state look as nice in the media as it is to those of us living there. Click on the link below to read the rest of the coach’s comments. Unquote: When I first moved out of Florida in 2006, I said I was pulling up some very deep roots; the family connection with the state was one of the deepest. if there ever was a family headquarters, our large house in Winter Park was it. The original house was built in 1927; when we first moved in there were some features Dad did not like, so he did some remodeling right away. Then between 1973 and 1978 he built a new addition that changed the structure’s appearance completely. Some visitors have had trouble telling whether it was one house or two, others have remarked on the unique character Dad gave to the place. I lived there until 1988, and was close by it for the next 18 years. Unfortunately my Dad lost the ability to maintain it even before I moved out of Florida, so by now it was literally falling apart. I expect the buyer will knock it down and split the property into two smaller lots, so if I come back the house probably will not be there. I say “if I come back” because the family is so widely scattered these days. As recently as 2005, most of us were in Florida. Now my mother and grandmother have left this world, my sister is in Wisconsin, my daughter is married and living in Georgia, and my wife and father are in Kentucky. The only relatives left in the Sunshine State are my brother in Naples, and a great-aunt in Delray Beach. And in the Orlando area the only tie I have left that could bring me back is the church I used to attend, because I still have many friends there. As for me, here I am in Connecticut, the state we lived in before we moved to Florida, working a temporary job just 25 miles from where we used to live. That’s another case of coming around full circle for you! If you are on my e-mail list, expect to see this in your inbox very soon. Greetings once again to all my loyal readers! Charles Kimball is here, to give you the latest news on my world history website. Currently I’m still in Danbury, Connecticut. Except for a visit back to my wife and home in Kentucky at Christmas, I have been here for nine and a half months. Originally the job I’ve been working here was only supposed to last for six months, but I got the extension I was expecting last December. Since then work has been slower — far less overtime than in 2011 — so I’m expecting to return to Kentucky when June rolls around. And going through the winter here wasn’t too bad, either; it was an unusually mild season, with only two days when it snowed enough to require shoveling. In the meantime my father has just moved from Florida to Kentucky, so he can spend the rest of his days near us, so life at home has gotten more interesting. First of all, while my real life experience continues north of the Mason & Dixon Line, I am still writing about history South of the Border. Now the third chapter in my Latin American history series is available. Going from 1650 to 1830, this chapter covers the second half of the colonial era, culminating with the struggles in the early nineteenth century that freed Latin America from Spain and Portugal. I uploaded it last January, but it took until now to correct some ommissions, add a footnote here and there, and make it a better overall narrative. Because the previous newsletter went out six months ago (a short time by a history book or website’s standards), I only have three other additions that are big enough to report here. First, because we have not won the War on Terror by brute force alone, I wrote about using some new tactics against the terrorists, namely descrediting them through ridicule. I also suggested draining their finances through lawsuits, because guns, bombs and knives cannot be used as a defense against that. The second new page involves a book I recently read on current events, trends and demography, "How Civilizations Die: (And Why Islam Is Dying Too)," by David Goldman. Goldman also writes under the pen name of Spengler, after Oswald Spengler, the nineteenth-century historian, and his book contained excerpts that he called "Spengler’s Laws," which are his rules on how history works. 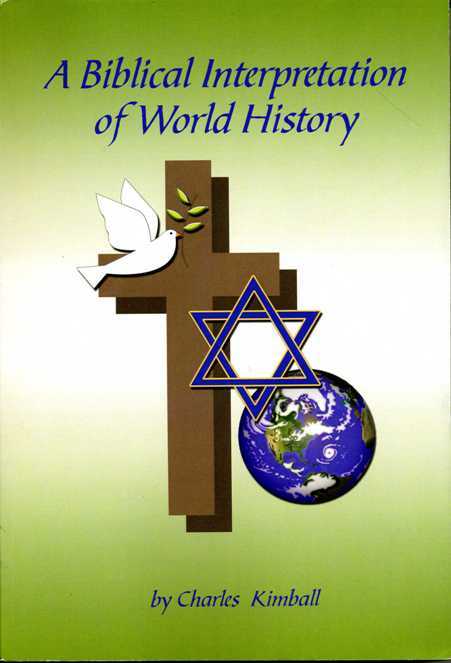 In 2007 I posted my own theory of history, at http://xenohistorian.faithweb.com/history.html#Summary , and I found Spengler’s ideas close enough to mine that I thought it is worth the effot for readers to compare them. Therefore I have reposted Spengler’s Laws, so they can all be seen in one place. And finally, a recent DNA study of Madagascar’s population is revising our theories on how that island’s community got started. In a nutshell, the first Malagasy probably came from Indonesia on only one boat, and they arrived later than we thought, around 830 A.D. This has forced me to rewrite the section in my African hisotry series where I discussed that, and I moved it from Chapter 4 to Chapter 5. What will go up next? I’m working on the next chapter of the Latin American history project, of course. Chapter 4 is about one-third done, according to my estimates. It will cover the first fifty-nine years after independence, 1830 to 1889. I have also decide to expand the first section of my Russian history papers, the part about Russia before the founding of the first Russian state, into a new chapter entitled "Before the Russians." This will include recent discoveries concerning nomadic tribes like the Scythians, Sarmatians and Khazars. Maybe I will call this prequel "Chapter 0," so as not to mess up the numbering sequence of the chapters already there. And there are still plans to update the older papers; hopefully I can report I did some of that next time. You received this newsletter because you subscribed to my mailing list, provided by http://www.yourmailinglistprovider.com/ . It comes out 2-3 times a year, when there have been major changes to the website. I AM NOT in the spam business, so when you subscribed here, your address was not sent to any third parties. If for any reason you wish to unsubscribe, or would like to subscribe a new e-mail address, go to my homepage ( http://xenohistorian.faithweb.com/ ), scroll down about four fifths of the way to the bottom, enter your address where it says "Enter your e-mail address to receive the site newsletter!" and hit the "subscribe" or "unsubscribe" button. Back when I was writing my African history series, in 2004 and 2005, I included what we knew about how Madagascar got started. Well, that has all just changed. Yesterday I read an article that told of DNA testing being done on today’s Malagasy people. The result is that all Malagasy are descended from only thirty Southeast Asian women, who arrived about 1,200 years ago. This prompted me to rewrite the first section about Madagascar, and move it from Chapter 4 to Chapter 5. Here is how it reads now; a link to the aforementioned article is included. The human race settled the continental portion of Africa, Asia and Europe before it settled most of the world’s islands, and it is easy to understand why; you need some sort of water craft to get to the islands. Madagascar was settled relatively late in history, by the boldest sailors of the ancient world. These were the Malayo-Polynesians, who crossed the Pacific by trusting in things of nature like birds, ocean currents and stars to guide them. Regarding how Madagascar got started, most history texts will tell you that at an uncertain date between 1 and 500 A.D., one or more outrigger canoes left Southeast Asia, crossed the Indian Ocean and landed on Madagascar. They brought with them root crops like sweet potatoes and taro, introducing them to Africa in the process. Rice, bananas, plantains, coconuts, sugar cane and spices may have come from them, too; all of these crops are Asian in origin, though widely grown in Africa today. That was all that could be said on the subject until recently, when language and DNA analysis entered the picture. We now believe these Malays launched their boats from Borneo, because the language and DNA of Borneo’s southeastern tribes most resembles that of the Malagasy. A more recent comparison of mitochrondrial DNA samples from 266 modern Malagasy indicated that they were descended from just thirty women. Because the trading vessels of Indonesian kingdoms like Srivijaya could carry up to 500 people, this means only one boatload of Indonesians was needed to colonize Madagascar. Of course the boat must have also carried men, and there could have been some women who did not have any children, but because mitochondrial DNA is inherited only from the mother, evidence for them will not show up in such tests. The tests also suggested that the settlers arrived much later than expected, most likely around 830 A.D.
With navigation being what it was in those days, it is unlikely the settlers knew where they were headed; they may have been blown off course, and decided it was safer to keep going than to try returning. Or they could have been refugees, fleeing after Srivijaya conquered their homeland. After 1000 A.D., their descendants did some trading with the mainland, and some Bantus came to Madagascar, so today’s Malagasy are half Asian and half Black African. East Africans have legends about a tribe named the Waqwaq, which used to live on the Kenyan or Tanzanian coast. Their description of the Waqwaq sounds very much like the Malagasy, suggesting that the Malay explorers first landed on the mainland, and stayed there for a while before sailing south to Madagascar. If this is true, all they left behind on the mainland were their root vegetables. The Malagasy themselves claim that more than 2,000 years ago, a people called the Vazimba lived on their island. They describe them as “white pygmies,” and act with extraordinary care when near a very old tomb, out of fear of what the spirits of the Vazimba might do. Unfortunately it’s not clear if the Vazimba are Madagascar’s first Malayo-Polynesian settlers, or an indigenous race that lived there until the outriggers arrived. How about them Wildcats? Today they have gone and done it again; for the second year in a row they are going to the NCAA tournament’s Final Four. There’s no doubt about it; I’m going to wear my UK jacket to work tomorrow, whether the weather requires it or not. Even though I am more than 800 miles away from home, I should still support the home team of course! I did see some pictures on the Lexington newspaper’s website, Kentucky.com, of all the celebration going on back home, after UK beat Baylor in today’s game. Don’t worry, nothing got out of hand; we have civilized fans, after all. Meanwhile here in Connecticut, I’m seeing more signs that winter is over. There were two nights in the past week when the temperature and humidity got so high in my apartment that I had trouble sleeping, so on Tuesday I opened the window for the first time since the end of October. It got up in the 70s, both inside and outside during that time. Now the outside weather is cooler—today it was constantly in the 40s–but there is no cause to be concerned at this point. And the flowers are coming into full bloom. As in Kentucky, they are ahead of schedule this year. I recall that the last time I was in Connecticut, I went outside on May 1, 1965, and the back yard was full of dandelions. If that’s an accurate memory, Connecticut flowers are even more ahead of schedule than Kentucky ones. I’m now seeing more forsythia, like the bush I posted a picture of recently, and there are quite a few trees around with pink flowers on them, especially on Main Street. And yesterday, I finally saw some flowering pear trees,like the Bradford pears we have back home. My home neighborhood has Bradford pear trees in front of every house, so when they bloom it is a spectacular sight, turning the whole neighborhood white. We don’t get that much of a flower show here, at least I haven’t seen it yet, but it’s still it’s enough to cheer you up as you go outside. Back in Kentucky, Leive is still having a hard time with my father. He keeps falling down just about every day; the tumble he took last Tuesday ended up breaking his finger. After another fall at 5 AM on Friday, the retirement home decided to put him in a facility that gives more intensive care. It’s still in the same neighborhood as the first home, so we still have all the advantages of location, but still it’s a step in the wrong direction. Leive wonders how she is going to move Dad’s furniture because the people of the facility did not help my brother, when he moved it all in a week earlier. Last Friday, I did receive an encouraging e-mail from a lady in my church, who suggested that all the tumbles may be caused by my Dad being unfamiliar with the place he is in. Well, that makes sense, because he was a living in the same house down in Florida for almost 45 years; we moved in there in May of 1967. We also have some hope that if his condition improves after therapy, he can go back to the first facility, and I’ll be able to take him places after I return to Kentucky. Well, that’s the news for this weekend. Once again, GO ‘CATS!!! Would you believe my granddaughter is two years old already?